Twisted Cogs is a bicycle repair workshop based on the outskirts of York in the village of Bishopthorpe. We are undertaking all repair, rebuild and cycle servicing work. Visit our services and workshop pages to find out more. 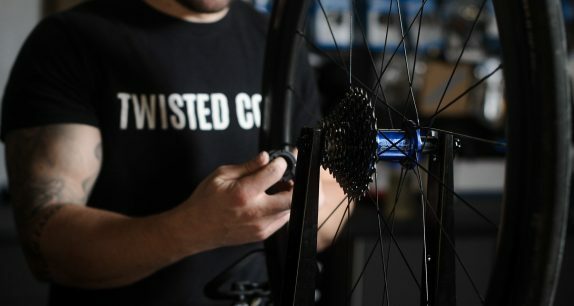 Twisted Cogs is a cycle repair workshop operating from Bishopthorpe, York. 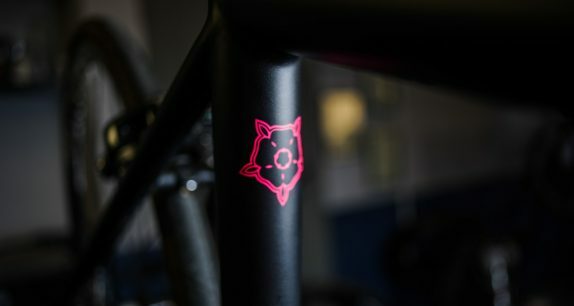 Unlike other cycle shops in York where the emphasis is on sales, Twisted Cogs focuses on our workshop, our personal approach and our friendly honest advice. Twisted Cogs undertakes all kinds of servicing, repairs, rebuilds and engineering work. No job is to big or too small. Owner & operator, Tom Cropper, has worked in highly reputable bike shops in and around York for over twelve years. 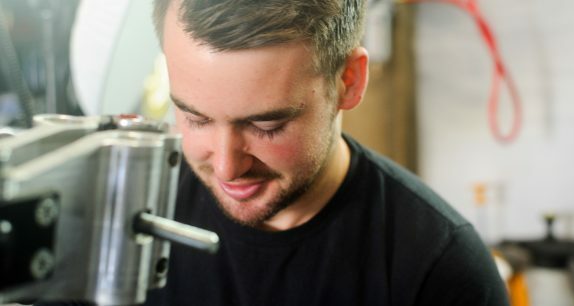 Working along side highly skilled mechanics throughout his career, Tom has learnt from the best in the business. Twisted Cogs is not like other cycle shops in York. Our focus is on repairs not sales. We don’t have a big showroom, but we do have a big chest of tools. We undertake all kinds of repairs and servicing. 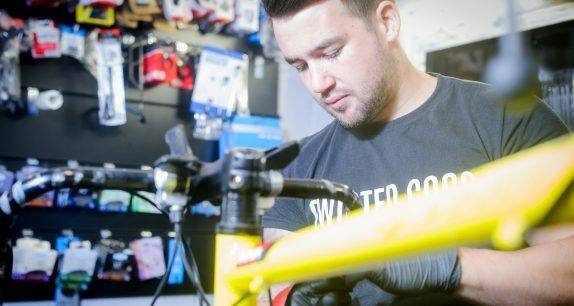 From regular gear and brake services to comprehensive strip down, repair and rebuild, we offer a range of cycle services. Essential safety checks and adjustments before any big race or ride. 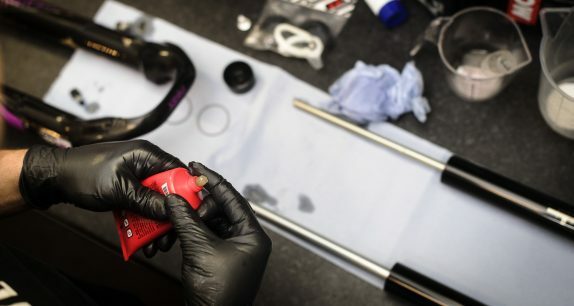 Ensure your bicycle is perfectly tuned and safe. Whether your wheel is out of true or you require a complete or custom wheel rebuild, we can help. 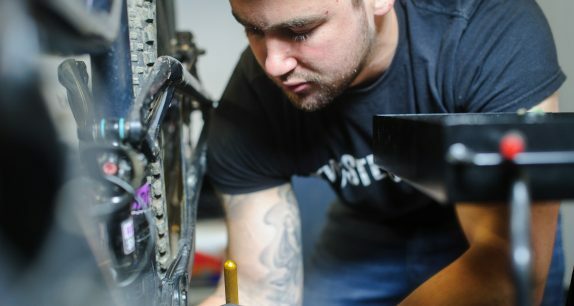 Mountain bike suspension and rear shocks require regular maintainance to ensure they are operating at their best. Whether you want to freshen up your cycle, go for a new look or even require custom hand painting, we can help. We can undertake a number of engineering jobs. Leave the dirty work to us. We can clean and de-grease your cycle and have it looking and operating its best again. 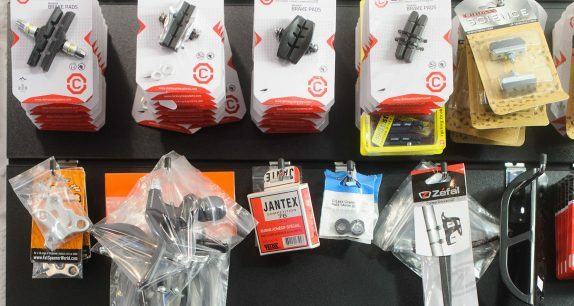 We stock a range of parts and spares for your cycle and can order-in more unusual or specific components for you. Tom has over twelve years of experience within the cycling industry and is Cytech Qualified to the highest level. He has worked with high end road and mountain bikes for the last 5 years whilst managing a busy workshop outside of York. Professionally set up Tom is now ready for your bikes to fill his diary in his own workshop.